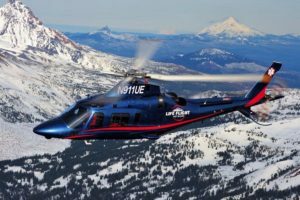 Life Flight Network is growing and becoming a part of Wilsonville’s emerging business community! Please help us welcome Life Flight Network to Wilsonville by attending their Grand Opening Ribbon Cutting! Appetizers from Elegant Catering and celebrational beverages from Weekday Wine Club will be served as we network and discover more about Life Flight Network. Take a ride in Little Al! Little Al is a beloved Life Flight Network outreach vehicle used in parades and other community events. Its resemblance to our helicopters makes Little Al a unique and fun way to connect with the community. It travels throughout our service area representing Life Flight Network. About: Life Flight Network, the nation’s largest not-for-profit air ambulance company, recently expanded their operations with a new administrative office here in Wilsonville, enabling the company to expand services at its headquarters in nearby Aurora. Chamber After Hours” are FREE business networking events for current and future members of the Wilsonville Chamber of Commerce. Bring business cards and be prepared to shake some hands and meet some new faces. There will be food and drinks and fun…and most importantly…NETWORKING.